European Commission Vice-President says to the Barents Observer there is a need for some sort of fresh start to find a solution to the situation in Ukraine. “The European Union is still very united when looking at Russian behaviour in Ukraine, even though sanctions and counter sanctions are not good in terms of economic growth,” Jyrki Katainen says in an interview with the Barents Observer on November 8, 2016. The former Prime Minister of Finland is in addition to Vice-President also Commissioner for Jobs, Growth, Investment and Competitiveness. EU’s sanctions, also supported by Norway and Iceland, are targeting specific sectors of the Russian economy such as the defence industry, finance and Arctic oil-exploration. Many Russian officials are also denied entry to the Schengen-area. The sanctions were first imposed in July 2014 after Moscow’s annexation of Crimea and military actions in eastern Ukraine. Jyrki Katainen says despite disgreements, EU and Russia should have political talks. “The main thing is that there should be reasonable and open political conversations between EU and Russia on how to move forward in Ukraine. Being silent and not meeting each other is not a solution because there is only a diplomatic solution and that’s why we have to discuss with each other,” the European Commission’s Vice-President says. He calls on both Moscow and Kiev to fulfil the Minsk-agreement. “Of course we to recognise that Ukraine has not either done everything it has promised in the Minsk agreement, so we need the Ukrainians, Russia and the EU countries on board to try to find solution,” Jyrki Katainen argues. In July, the EU decided to prolong sanctions until January 31, 2017. German Chancellor Angela Merkel said this week the EU should extend Russia sanctions because of a lack of progress in eastern Ukraine and Moscow’s disregard of the ceasefire. 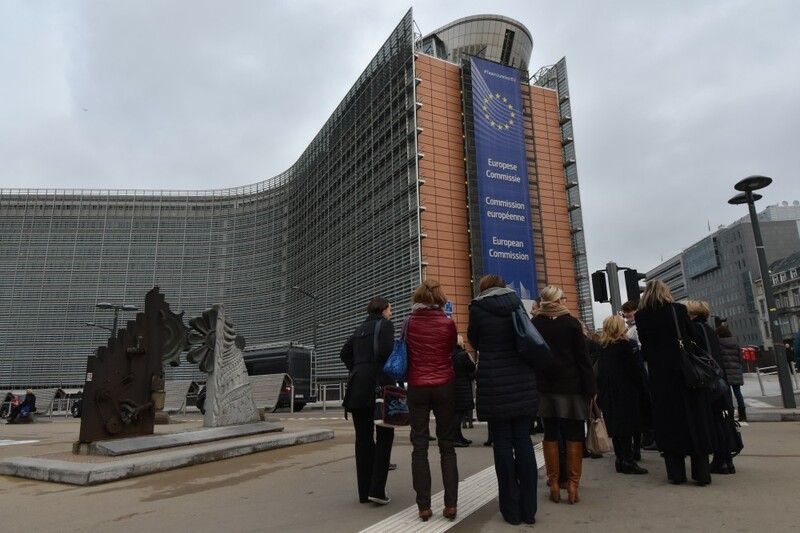 It is expected that sanctions will be discussed during the European Council summit in Brussels on Thursday. “It is very unfortunate that the security situation in Europe has weakened. It is not as stable as it was, let’s say five years ago. Nobody knows where this will end. I don’t expect any major change, but security threats have changed in nature, so hybrid threats have become more relevant than traditional military threats and sometime it is very, very difficult to draw a line between military and other threats because they are usually interlinked. The way to destabilise countries or regions have changed because you don’t need artillery or tanks aren’t necessary in order to influence the countries or sectors you want to, so that’s why the world has become more uncertain than it used to be,” Katainen says. Do you think there are movements in the talks with Russia, any light in the tunnel? “Things have not moved that much in Ukraine, unfortunately. So there is a need for some sort of fresh start or new attempt where all parties would engage more seriously than before to the find a solution to the Ukrainian situation. As I said; Ukrainians must do more and also Russians must do more. And it would be good if we had stronger attempt and good discussions between all parties,” Vice-President Katainen says. Will Trump and Tillerson end sanctions? A big question is the United States’ stand on sanctions against Russia after Donald Trump takes office on January 20th. Rex Tillerson, Trump’s pick for Secretary of State, has expressed scepticism. Tillerson is CEO of Exxon Mobil, a company that just before the sanctions were introduced yielded a discovery of 730 million barrels of oil together with Rosneft in the Kara Sea. Rosneft estimates there are 87 billion barrels of oil in the three Kara Sea blocks the company are set to develop with Exxon Mobil. Oil exploration on Russia’s Arctic shelf could mean multi-billion businesses for the American oil company. Lifting the sanctions could be a boost to Russian economy. Member of European Parliament representing the Finnish Greens, Heidi Hautala, is one of 89 Europeans barred from Russia in Moscow’s blacklist response to EU sanctions. She says to the Barents Observer that EU would loose its credibility if sanctions will be lifted now after all what’s happened in Aleppo. “I think sanctions on individuals are rather effective and regarding new sanctions I think we should identify some key-persons in Russia that are in charge of the crisis in Syria,” Hautala says. She expresses scepticism to the current economical sanctions. “When it comes to the more general economic sanctions, they hurt a large number of citizens, including ordinary people in Russia, so I don’t think they are very effective. I think Russia can live with such sanctions for a long time. 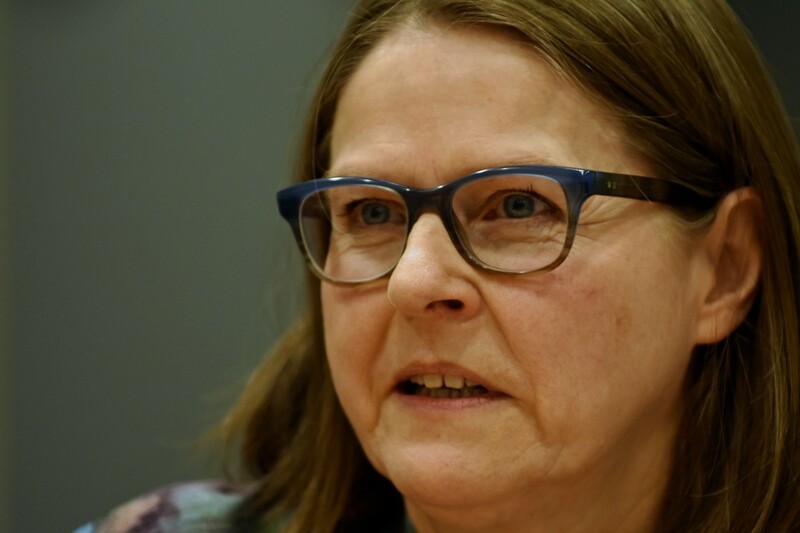 They will not respond to that,” Heidi Hautala says. Hautala tells that there is a discussion within the European Parliament about removing parliamentarians from the blacklists. “We need to talk and parliamentarians that today are on the sanctions lists could be removed,” she says. The European Parliament has listed several members of the Russian State Duma on the non-entry list to any European Union member states. These are people said to be involved in the annexation of Crimea and trouble in eastern Ukraine. Russia replied by listing several members of the European Parliament denying them entry to Russia because of anti-Russian activities.